Worcester Youth Co-op youth participants learn business development skills, social justice concepts and community organizing practices. Cooperatives are a form of running a business where equity is promoted. Through hands on experience running a small youth-led business and through collaboration between one another, everyone is able to have a say in the decisions made and all are encouraged to take on leadership roles. The youth run cooperative retail store provides Massachusetts-based co-­op products and services (including t­-shirts, coffee, pickles, music videos, pedicab rides and more). Stone Soup community center is the home base of the store but it is easily movable for tabling events or any co-­op related events we may be needed for. This project aims to inspire other teenager entrepreneurs to start their clubs, support groups, or co­-op businesses. Increase access to ethically sourced goods from local co­-ops and at the same time do outreach about co-op business model and community ownership. We distribute better quality products/goods from worker-owned businesses that allow people to work together rather than having one direct boss. Youth-­Focused Trainings include: gender justice, environmental injustice, professionalism, budgeting, finance 101, and co­-ops 101. Other leadership opportunities include the chance to attend and present at regional and national conferences on co­-ops, solidarity economy and youth leadership. 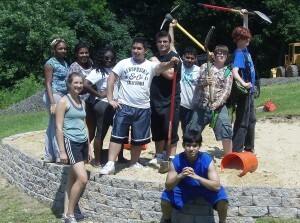 Also, through Worcester Youth Co-op we have the opportunity to be spokespeople for Worcester Roots. We chose the cooperative model so that wealth stays within our communities by reinvesting profit into our projects and residents. “Before working at Worcester Youth Co-op, I had no experience communicating with strangers to inform them about things I knew. I got the chance to teach them things about co-ops that I had learned during the summer. Working there has given me the courage to speak with others.” Laci Griffiths, age 15. “Roots has taught me a lot about the types of businesses and how they either help or hurt society. Learning about co-ops and helping to manage our co-op has changed my views about how business should be done.” Daniel Tejada-Davila , age 15. Have Worcester Youth Co-op table at your event! Emails us here. After 11 years, Toxic Soil Busters is saying goodbye and making room for new and exciting youth-led Worcester Roots projects. Thanks to the work of 61 teenagers and 14 adults, we tested 272 yards (that’s over 1000 bags of soil!) and remediated 54 yards and gardens. Lead poisonings went from as many as 16 children per year to a statistical zero, thanks to TSB and dozens of partners in the Green and Healthy Homes Coalition and the $7+ million in lead abatement and outreach funds we helped leverage. For the summer of 2017, the youth section of Worcester Roots decided to move things in a different direction. Worcester Youth Co-op is a youth run cooperative retail store providing Massachusetts based co-op products and services (think t-shirts, coffee, pickles, music videos, pedicab rides and more). The internal structure is still in the works, but the youth are making fast progress and already have a budget and have each put in $20 of their own money for start up costs. With that, comes the end of Toxic Soil Busters. While endings are sad, they are also important, be it for reflection or to redirect energy into the future. Toxic Soil Busters (TSB) was a youth-run worker cooperative, employing 10 youth between the ages of 14 and 19 in Main South and Piedmont. 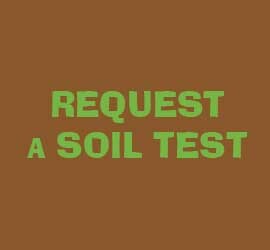 Toxic Soil Busters worked year-round offering soil testing, lead-safe landscaping services, outreach services, video production, and training. TSB was founded in 2006 by Janice and Sam, two high school students who wanted to create jobs for themselves making Worcester more environmentally just. During a brainstorm with an adult mentor, Toxic Soil Busters was born. TSB was built on the principles of a cooperative workplace. There were no bosses, and the group emphasized peer leadership, youth empowerment, and opportunities for experienced youth to grow into new positions as they get older. Toxic Soil Busters did multi-faceted community outreach which involves video production, skits, games, live music written by the youth, poetry and art to educate the community about lead and environmental justice. In 2008, TSB completed their first short video documentary, Toxic Soil… WHAT?! which will be part of the Adobe Youth Voices Project, “Beyond Green”. The team is currently working on a video training series on youth empowerment and leadership in the workplace as they continue their work to make Worcester lead safe.